Following on from our recent article in which Woodlore Instructor Keith Whitehead answered your questions, we thought we would keep the ball rolling with a new interviewee. This time around we’re giving you the chance to put your questions to Woodlore Aspirant Instructor Sarah Day. To put your question to Sarah, simply post it in the comments section at the bottom of this article. Alternatively, you can post your questions on facebook or twitter using the hashtag #AskWoodlore. All questions must be posted by midday on Friday 1st May, and a selection of them will then be put to Sarah. The person who asks the best question, as chosen by Sarah, will receive a £20 Woodlore voucher. 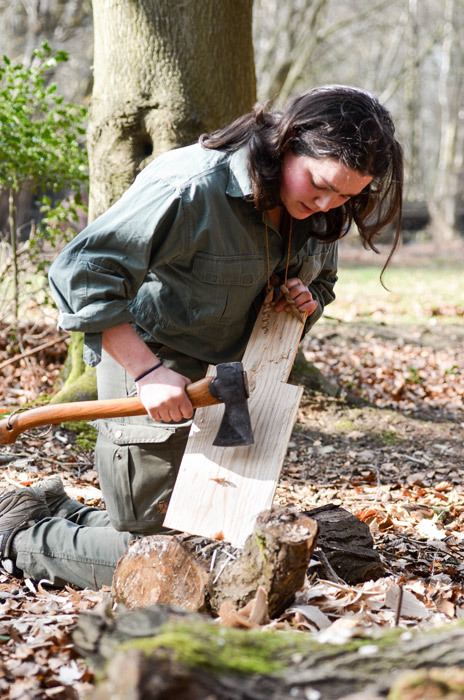 During her time with Woodlore, Sarah has assisted on nearly all of our UK courses, led many Junior Fundamental Bushcraft courses, and has particularly revelled in assisting our Specialist Instructor Jamie Cooke on Woodlore’s First Aid courses. Sarah has also attended our Canoeing in the Ardeche Expedition, as her outdoor interests do not end with just flora and fauna, she loves to canoe too. We look forward to hearing your questions! 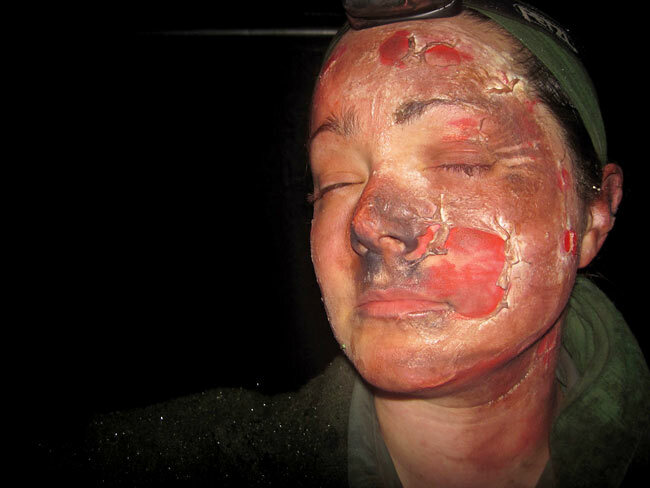 This entry was posted in Bushcraft Courses & Expeditions, The Woodlore Team and tagged courses, first aid, instructor, interview, leader, woodlore on April 21, 2015 by Woodlore Limited. Would you do an outdoor course with your partner? I’ve booked a week long course, and my wife is bitten by the nature bug now too. I think it would help when we have the kids with us in the woods, but also want time to get away from it all? Welcome to the Wonderful World of Woodlore. If you were to traverse a mix of lake and land terrain over, say, a week or two, and portage of a canoe was not an option. So you decide to pack an inflatable raft. Which would it be and why? Sarah, what has been your most memorable experience while you’ve been out in nature? Hello, how has being in the outdoors affected your life? Hi Sarah, you obviously enjoy spending nights outdoors. What is the one thing that puts a smile on your face and motivates you to spend the next night outdoors? What would your idea for the ultimate bushcraft challenge be? Miss Day, what is the most nutritious, most common and the most appealing sorce of food in the world’s temperate zones? Hi Sarah, I’ve seen you out with your camera on previous courses, so my question is: if you’ve got one perfect shot to have printed up for your home, what would it be? My twin daughters are five. They love walks in the park, feeding ducks, and looking at bugs in the garden with a magnifying glass, and roasting marshmallows on a fire. I am working on ways to help them explore and learn about the outdoors. What are the best ways to introduce young girls to the outdoors and keep that interest moving forward? Are there specific things that should be done to encourage girls to explore the outdoors that differ from encouraging boys? Hello! As a woman too, I have to take smaller axe, for example, to making woodcraft. Avoiding hand and arm get tired. Thinking of making a portage alone and my back already suffering. Did you ever live similar difficulties and how did you deal with it? I hope you’re well and enjoying the course season so far? When you first started out in bushcraft what were your goals for achieving skills and how does that differ to your present mind set today? What is it about Woodlore and the outdoors that draw you back to it again and again?